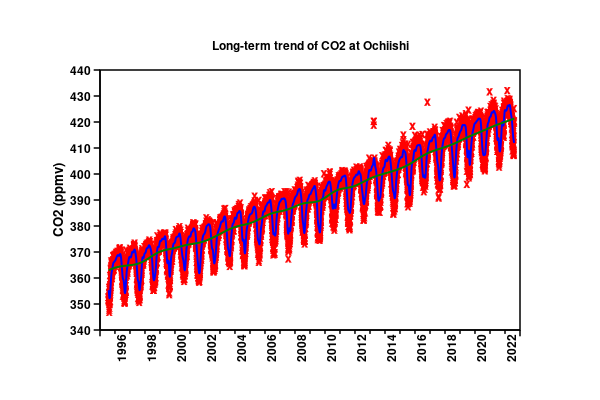 This page presents the most up-to-date CO2 trend and increase rate observed at Cape Ochi-ishi. The station is located at the southern tip of the cape and 50 m above sea level. The station was established in 1994 to monitor the long-term trend of greenhouse gases in higher latitude. If you click here, you can link to the page of "database", to see the detailed data of Cape Ochiishi station.